The 30 meter long tugboat FFS Achilles sank off Skjolnes near Farsund, Norway. The FFS Achilles had run aground and suffered uncontrolled water ingress. The crew alerted authorities who dispatched a lifeboat to the scene. Before the lifeboat arrived, the three crew abandoned ship and rescued. The FFS Achilles continue to flood and later sank. Authorities monitored the area and stated there were no signs of a spill. No reports of injuries or pollution released. 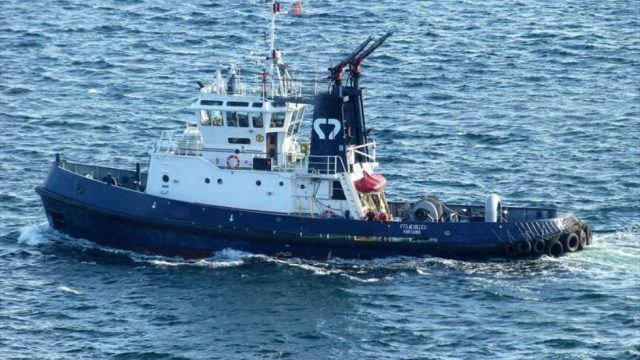 Reports state the owner has begun salvage plans to recover the tug.